Elmarie Wendel, a veteran character actress best known for her role as Mrs. Dubcek, landlady to 3rd Rock From The Sun’s Solomon family, has died. Wendel’s daughter confirmed the news in an Instagram post on Saturday evening, calling her mother “a great mom and a badass dame.” Wendel was 89. Born on an Iowa farm on November 23, 1928, Wendel’s performing career began when she toured the Midwest with her parents and sisters, who were also performers. That start eventually led her to the world of Broadway theater, both off and on, before an Annie tour sent her to Los Angeles. Before joining 3rd Rock, Wendel racked up credits on sitcom after sitcom, including appearances on The Jeffersons, The Facts Of Life, Murphy Brown, Major Dad, Weird Science, and Empty Nest. 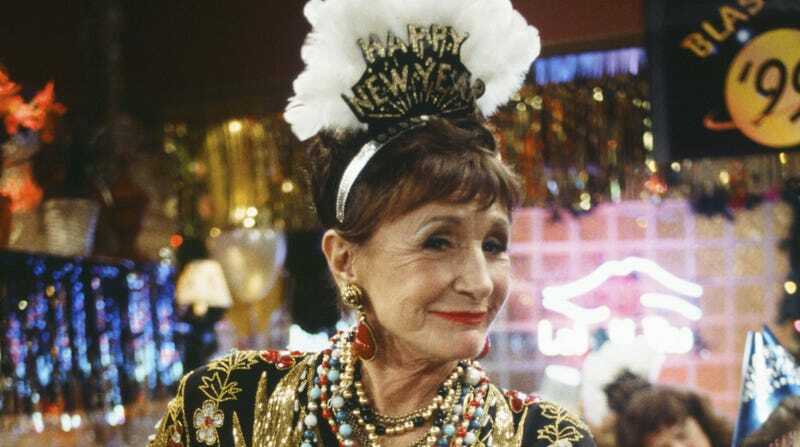 As the ribald Mamie Dubcek, Wendel became one of 3rd Rock’s most reliable punchline-machines; she stayed with the series for its entire 139-episode run. After 3rd Rock ended its sixth and final season in 2001, she went on to appear in George Lopez and N.Y.P.D. Blue, provide the voice for Aunt Grizelda in the animated adaptation of Dr. Seuss’ The Lorax, and offer up another voice performance in the video game Fallout 4. After news of her passing broke, 3rd Rock From The Sun co-stars paid tribute to the actress on Twitter.